This contest has ended, but I’ll be having another (Much bigger one) in September! 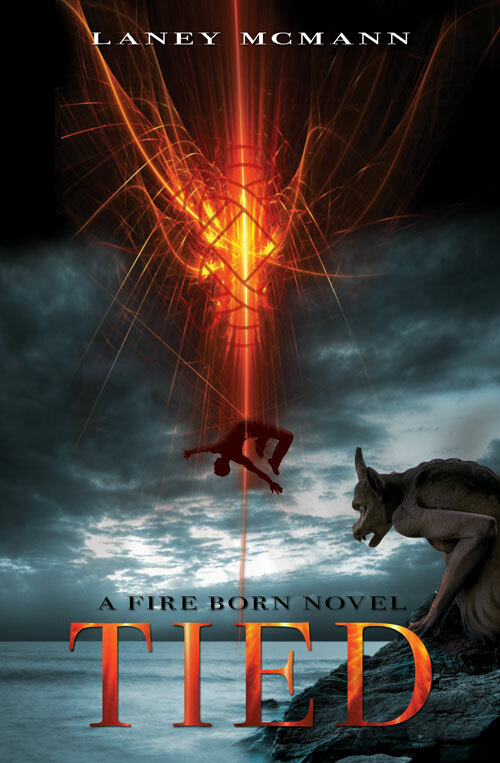 Want to read TIED before it releases in September? Okay, all you have to do is leave a comment in the comment form below, and you will be entered in the drawing. If there are any technical issues, they will handled post haste. Eg, duplicate entries will be deleted; if the blog via which you have entered goes ‘down’ your entry will still stand and be entered. Finishing off last week with the final installment of Lauren Kate’s Fallen series, RAPTURE, I am moving onto Michael Scott‘s final book in the Secrets of The Immortal Nicholas Flamel series, The Enchantress. I have loved this series from the beginning and am both excited and sad to see it end. Sophie and Josh Newman traveled ten thousand years into the past to Danu Talis when they followed Dr. John Dee and Virginia Dare. And it’s on this legendary island that the battle for the world begins and ends. In this weeks YA world, I am finally sinking my teeth back into the last of Lauren Kate’s Fallen series, Rapture. BLURB:The sky is dark with wings. . . . I was planning to continue onto the last of Lauren Kate’s FALLEN series this week and end with her 4th and final book, RAPTURE, but then I got a really great surprise, so I’ll be pushing it back to next week’s read. AFTER DARK was my book of choice last week (which I read, like practically everything, in about a day), and the release for the sequel DAY AFTER isn’t until May, so I was a little bummed to wait–until I got my ARC!! Ha! One of the best perks in my opinion as an author. So, without further ado (and sorry you guys have to wait until May for this awesome book–it’s worth the wait, though), I will be happily moving onto DAY AFTER, the 2nd book in The 19th Year series by Emi Gayle! ***I flew through this incredible book and rated it 5 Stars. Fantastic read! After finishing The Hunger Games in an almost obsessed sort of sprint to the end, I’m on to another YA series, The 19th Year. When I wrap my head around the Hunger Games and formulate my words for a review, I’ll post them over on goodreads. Once darkness descends, Mac can change into any supernatural form that exists — which makes her as happy as she can be. That is, until Winn Thomas, the biggest geek in her senior class, figures out there’s more to what hides in the dark than most are willing to acknowledge. This week I’ve been painstakingly compiling, and scaling down, the massive playlist for TIED, book one of The Fire Born Novels. Originally this playlist had close to 50 songs. I’ve narrowed it down to 34. Since I have 32 weeks until the launch of TIED, I thought a teaser was in order to get the momentum started. So … I’m going to play a small sampling of what’s to come every Monday all the way up to launch day. I’ve decided not to put the songs in order of scenes/chapters, as I don’t want to give too much away, but the songs will be in order when the playlist goes live, and in full, on the 9th of September. ENJOY!